The music department is an important part of the Flatonia (Texas) Independent School District, and the school district administrators knew that without custom lockers to replace the old ones, students could not store their instruments in a place that would keep them safe from intruders, humidity and other potentially harmful conditions. That is why administrators enlisted the services of Legacy Lockers to help them with their musical instrument storage solutions. Musical instruments like tubas and violins are very delicate instruments that should be stored with the utmost care. Instruments come in different sizes and shapes, making it even more challenging to find places where they can be stored properly. This means that, in a music locker room, ordinary storage lockers simply won’t suffice. To avoid having to store valuable and unique equipment in antiquated storage solutions, the staff at Flatonia ISD knew exactly what to do: they needed a music locker room design that included custom lockers that would fit every shape and size of band and orchestra instrument. 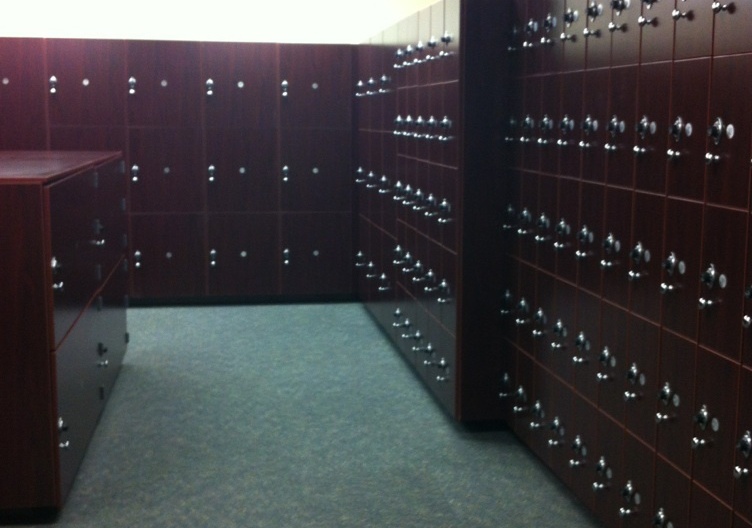 School district officials worked with Legacy Lockers to design a locker room that included custom made lockers in multiple depths, ranging from 19-39 inches. These wood lockers in the band room provide ample storage that keeps valuable instruments intact. The greatest challenge was finding ample space to accommodate custom lockers of various shapes and sizes; it was akin to solving a giant jigsaw puzzle. The experts at Legacy Lockers, proving once again why they are leaders in the custom wood lockers industry, designed custom lockers that fit in the available space without any issues. The result was a beautiful, modern and functional instrument locker room that is a source of pride for students, faculty and school administrators..
Are you facing a similar challenge in your educational facility? 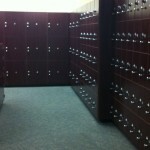 Learn more about custom lockers solutions from Legacy Lockers by visiting www.legacylockers.com today.